Ms. Gonzales began her legal career as a law clerk in the 18th Judicial District in 2000. In 2002, she began working at the 4th Judicial District Attorney’s Office as a Deputy District Attorney/Public Information Officer and liaison to the FBI. In that role, prosecuted countless high profile felony cases, to include homicides and complex mental health defense cases. As the Public Information Officer, she was responsible for all media relations to include FOIA and CORA requests and worked with all local and federal agencies on high profile and/or critical incidences involving the 4th Judicial District Attorney’s Office. During her time there she gained valuable litigation experience, which armed her with the skills necessary to successfully present complex cases to a jury. In 2008, she began her transition from the government to the private sector by representing the Colorado State Child Support Enforcement Unit where she worked to establish paternity and child support orders and ensured that these orders were enforced. 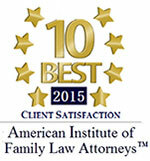 This experience gave her valuable experience into this very specific area of domestic relations law. After her time working with the Child Support Enforcement Unit, it was a natural transition into civil litigation and family law. Ms. Gonzales has experience litigating complex civil cases involving multi-million dollar disputes and businesses. 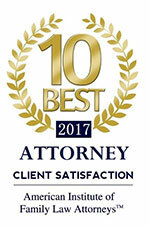 Ms. Gonzales also has the proven ability to represent her client’s in domestic relations cases involving complex financial issues, trusts, real estate holdings, businesses and high conflict custody matters. 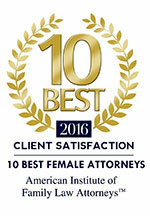 She has been able successfully arrive at amicable resolutions with opposing counsel when possible, but remains prepared to go to court and is able to skillfully litigate issues if an agreement cannot be reached. The impact that the legal process can have on people’s lives is profound and Ms. Gonzales understands this. Her experience brings compassion, professionalism, and understanding to the table while guiding our clients through the process. 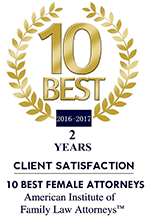 Her years of experience with trials, civil litigation, family law, and child support issues make her an attorney that you want on your side of the courtroom. She has earned the reputation as an ethical professional who is effective in the courtroom. 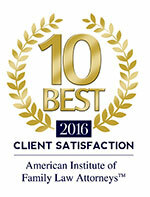 Denise is also a member of the Alternative Dispute Resolution section of the Colorado Bar Association and is an effective family law mediator.